I WORE MY OLD WOOL HAT almost every day in 2011. 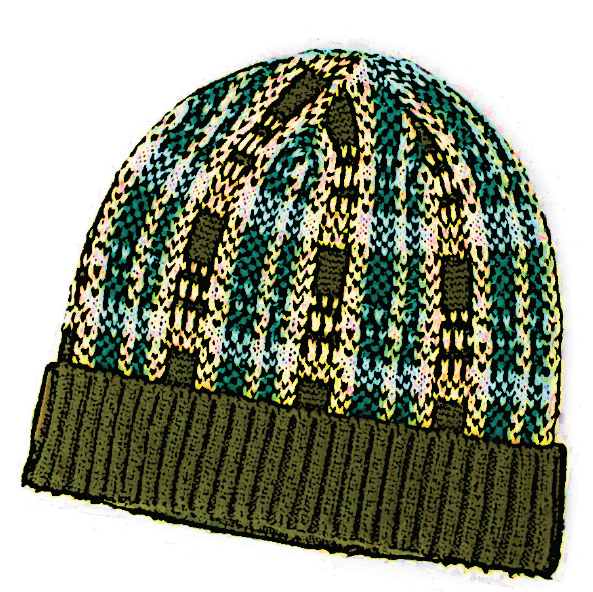 The plaid hat, formerly hiding at the bottom of my wardrobe, stuffed in between worn-down shoes, was suddenly my best friend, my savior—even in the summer when the smoldering heat held my head hostage. I was newly diagnosed with Central Centrifugal Cicatricial Alopecia. That year, I experienced my first bald patch and burning scalp, quickly followed by the emotional grief of realizing I was barely in my 30s and yet my hair was falling out, slowly but eventually. French philosopher Pierre Bourdieu spoke of the human body as the most indisputable materialization of class: our clothing, diet, hairstyle and even posture function as signs within a larger system of social capital. Embodied socio-cultural capital and the ability to cash in on undeserved privileges associated with having the “right” physical aesthetics isn’t new knowledge to me. However, when faced with my falling tresses, I began to reflect on my identity in deep(er), often more embarrassing ways than I ever had before. I mean, how dare I complain about thinning hair? I am not bald outside of one pesky patch. Here I am a Black, queer, fat feminist tooting body confidence one packed keynote at a time, with clearly more important systemic fights to shoulder than obsessing over my hairline. I’d ask myself, “What truly is your hair’s utility anyhow Jill?” I mean really… less hair means less participation in the capitalist beauty salon culture’s regulatory dos and don’ts, right? The politics of hair is laced in all sorts of interconnected, intersecting histories of racist, sexist, and classist narratives. Hair has long been used as a tool to measure a person’s self-worth, poise, professionalism, desirability, strength, intelligence, and connection to culture. This is especially true if you’re a woman, and even more so if you’re a woman of colour. To be faced with the gradual shrinking of my hair was to learn to lean into and listen to my abject body—a scalp, a spectacle to some, that I wanted to hide, cast off, and replace. I found resilience in communities of others living with alopecia. Since my diagnosis, I’ve met amazing people, mostly women, and together we’ve created Canadian Association of Scarring Alopecias (CASA) Fired Up!, a Toronto-based alopecia support, education, and advocacy group. This Abject Body will share stories about bodies not often spoken about or counted. Some may say bodies of difference or defiance. I want to share how we live, talk back and take up space in places and through initiatives that demonstrate the possibility, strength and socio-cultural capital of the abject. I’m still travelling. My truth is I became a better Black, queer, fat feminist when I remembered it was okay to sit momentarily in despair, to embrace the abject, and to seek out community to help get through the long-term journey. My hair goes and comes but more times than not I travel without my old wool hat. JILL ANDREW, PhD(c.), is the co-founder of the Body Confidence Canada Awards (BCCAs) and a fatshion lifestyle blog Fat in the City, among other body positivity projects. She is also co-editing an anthology titled In Our Skin: Our Bodies, Our Stories with Demeter Press. For more on Andrew visit www.BodyConfidenceCanadaAwards.com or www.FatinTheCity.com. Tweet @JILLSLASTWORD @BCCAwards.